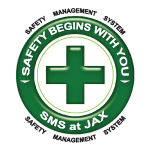 The Jacksonville (FL) Aviation Authority (JAA) announced that it has added the WebTrak Flight-Tracking and Noise Information system to the Jacksonville Executive at Craig Airport (JAXEX) page of the JAA website. 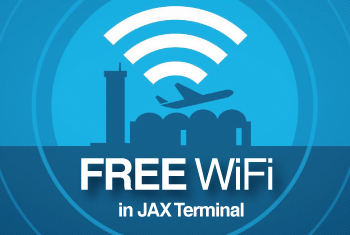 WebTrak is a system that allows individuals to watch the movement of flights to, from and overflying all four airports in the Jacksonville Aviation Authority's system, Jacksonville International Airport (KJAX), Cecil Airport, Jacksonville Executive at Craig Airport (JAXEX) and Herlong Recreational Airport. Displayed information includes the aircraft's beacon code, altitude, and the point of closest approach to a designated address. In addition, if the aircraft filed a flight plan, aircraft type, registration number, originating and destination airports are displayed. Military, law enforcement and other government aircraft are not trackable and will not be displayed on Webtrak. Flight and aircraft radar data originate from the Federal Aviation Administration (FAA) ARTS radar system at the JAX TRACON facility at JAX. The data is then down loaded and processed by JAA's Airport Noise and Operations Monitoring System (ANOMS). The FAA requires at least a 15 minute delay for aviation security reasons and for system processing. Historical data goes back up to 90 days. If needed, further research can be conducted using portable noise monitoring terminals (NMTs) set up in neighborhoods. "We recognize that it is important for us to connect with the community surrounding our airports," said JAA Executive Director and CEO Steve Grossman. "We want our neighboring residents to have this tool so they can report any issues in their area to us." If a resident wishes to report a noise event, he/she may log on to the WebTrak system to view flights that may have created the noise disturbance and submit an online complaint to JAA. The airport has long been the center of controversy, with residents living nearby adamant that the airport's main runway not be extended. They claim the longer runway would invite larger and noisier airplanes to the airport, which is surrounded by residential, commercial, and light industrial properties. While there have been discussions of lengthening the main runway at JAXEX (KCRG), airport authorities say there are no current plans for the upgrades.